Our most popular flavor; yummy cinnamon combined with pumpkin butter make these treats delectable. 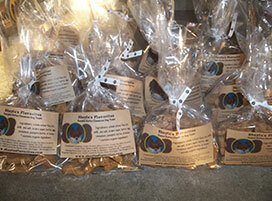 Traditional Peanut Butter; a dog’s best friend for tasty temptations. Nutrient packed wild blueberries paired with organic Michigan maple syrup and oats make my new treat delicious and very nutritious. 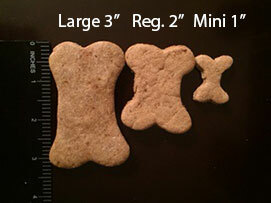 Try them in 1 1/2" small hearts or 3" slender bone shapes or a mix. As I say, well, who wouldn’t act on command for some tasty cheddar cheese? I sure would. 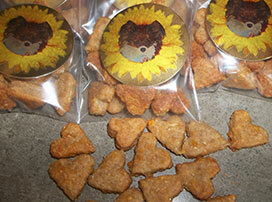 These treats are small and taste just like human Cheez-its. Made with Horizon Organic Cheddar Cheese; yum yum. 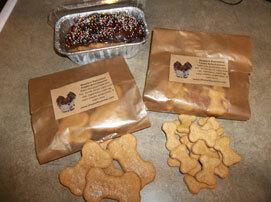 *Cheddar Cheese Training Treats must be kept refrigerated for best quality. 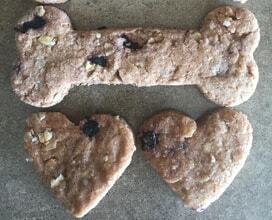 Invite your canine friends over for a party to celebrate life as a dog; everyone will be happy with the savory sweet potato and ginger flavors, with yummy vegan carob chip icing with sugar paroles; it’ll be the hit of the party. My cakes come in small, 4-5 servings or large 10-12 servings and include plates, a plastic knife for cutting, and a hydrant or bone shaped candle. Birthday’s are made to celebrate and share! Discount codes such as $dollars off and free shipping can be obtained by e-mailing your order information and discount code to shaylas-flavorites@usa.net. Once we recieve your order, we will process the order and create an invoice for you to pay from which we will deduct the discount. You may also use paypal once the invoice is received. Thank you for shopping at Shayla's Flavorites. Please e-mail us at shaylas-flavorites@usa.net with any questions. 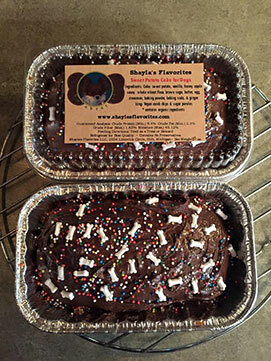 *For orders of 10 or more items, additional prep time is required, please contact us at shaylas-flavorites@usa.net prior to your order so we can make arrangements to process your order in a timely fashion. Copyright © | Shayla's Flavorites LLC | All Rights Reserved.